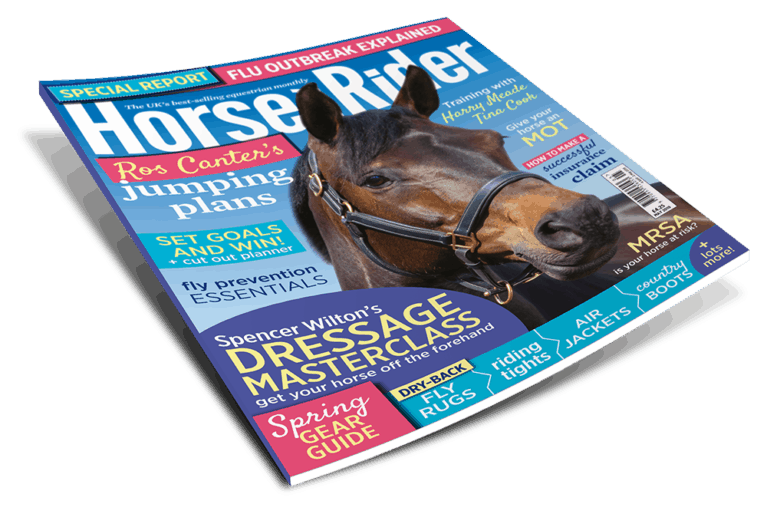 Whatever plans you have for you and your horse over the next few months, we’ve got the perfect products to help you on your way. 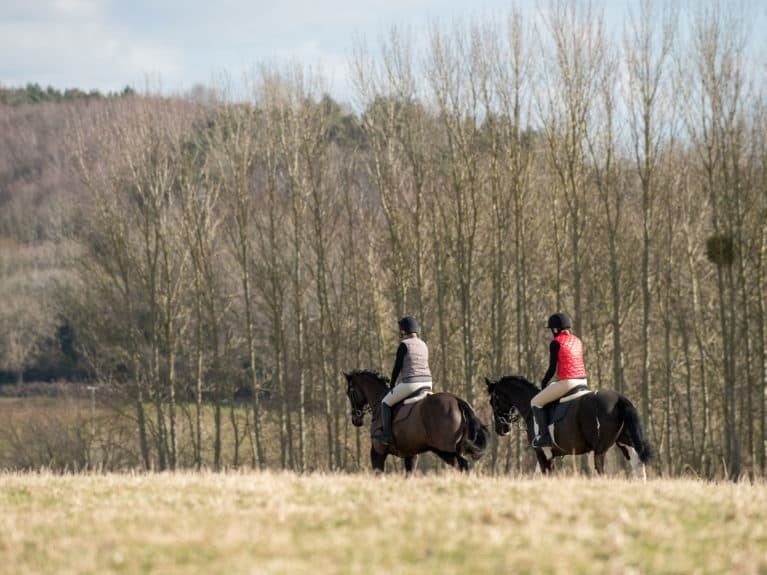 It’s a truth universally acknowledged that winter is the least fun time to be a horse owner. Whether it’s the darker evenings, freezing temperatures or seemingly endless mud that you’re finding a challenge – or all three – it’s time to cheer yourself up with a few winter treats. Designed to keep you warm and comfortable in the colder months, these cosy leggings have a safe, invisible phone pocket along the leg line for added convenience. 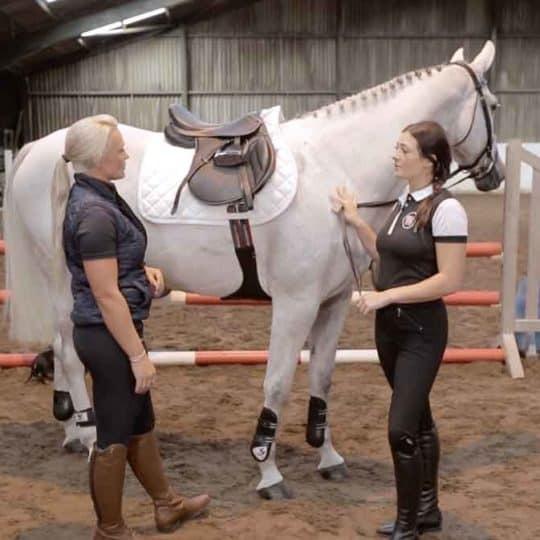 The high-waisted design is made from four-way stretch fabric so you can ride without restriction, plus there are inserts to help keep them in place. Available with or without knee grip, in navy, grey, black and khaki, or white competition leggings with belt loops and rose knee grips. Available in sizes kids’ 7–8 years up to UK14. There’s nothing worse than when your ears are so cold that you can no longer feel them. 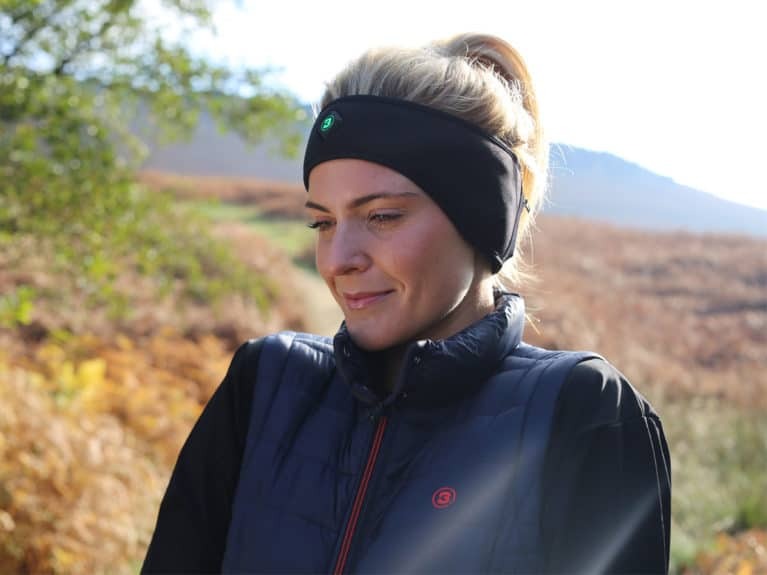 This new heated head and ear warmer is the perfect solution. Lined with plush microfleece, it wraps around your ears, protecting them from the bitter cold and providing three heat settings reaching up to 55°C. Available in sizes S/M and L/XL. 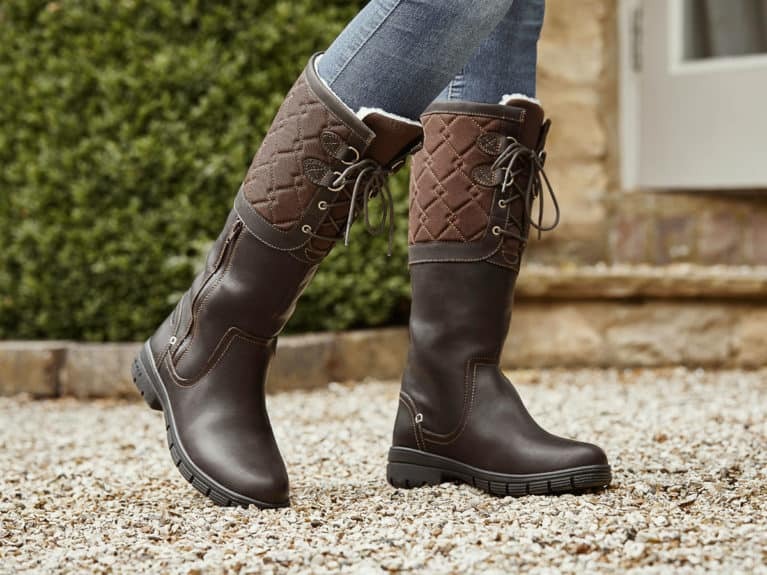 Treat your feet this winter with these stylish country boots. 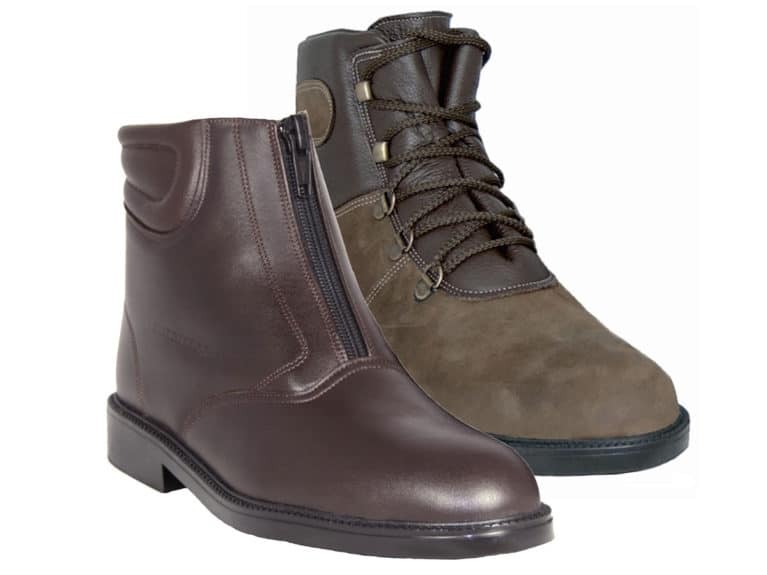 Made from full grain leather with a woven upper, they’re waterproof and breathable. An adjustable top lace, waterproof side zip, synthetic fleece lining and moisture-wicking footbed make them a pleasure to wear, while the rubber outer soles offer plenty of grip. Available in adult sizes 4–9. When you’ve been at the yard all day, there’s nothing like curling up in the warm to thaw out. 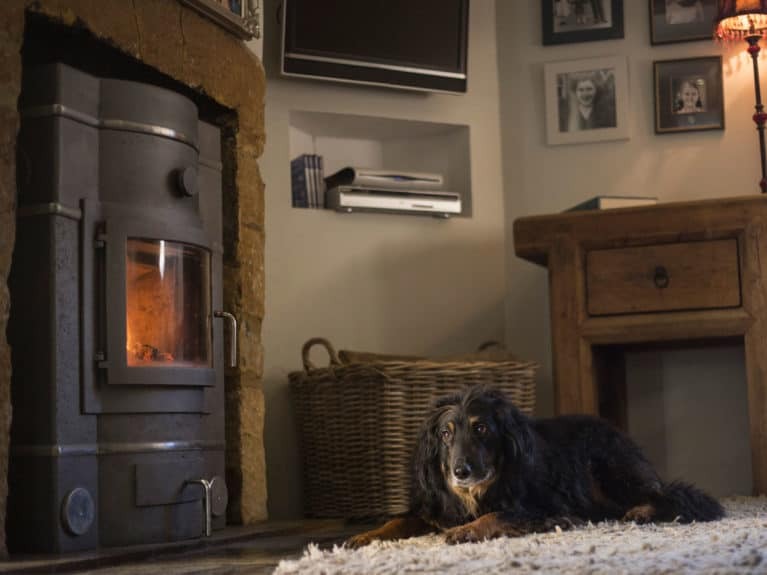 This highly efficient, hybrid masonry heater uses thermal mass and slow-heat release technology to naturally heat your whole house from just one stove, without any radiators or ducting needed. You can get 12 hours heat from as little as 7kg of wood. It’s UK-designed, made by a company established in 2008, and built by a family-run business. Whatever the situation, this clever jacket has you covered. 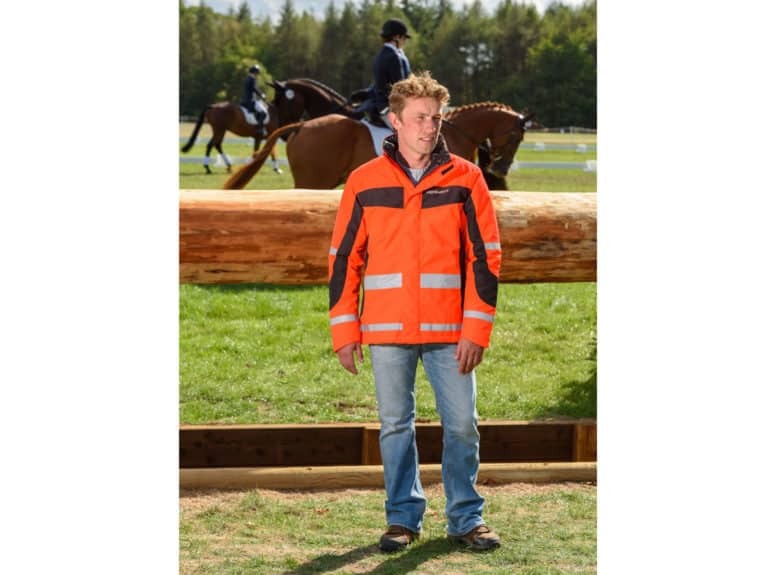 Its reversible design is a high-vis jacket with fluorescent and reflective details, plus a pull-down warning triangle, while the other side is a luxurious black quilted jacket that will take you out and about away from the yard. Available in pink, red and the polite design, in sizes XS–XXL. Darker nights are nothing to worry about with this handy clip-on light. 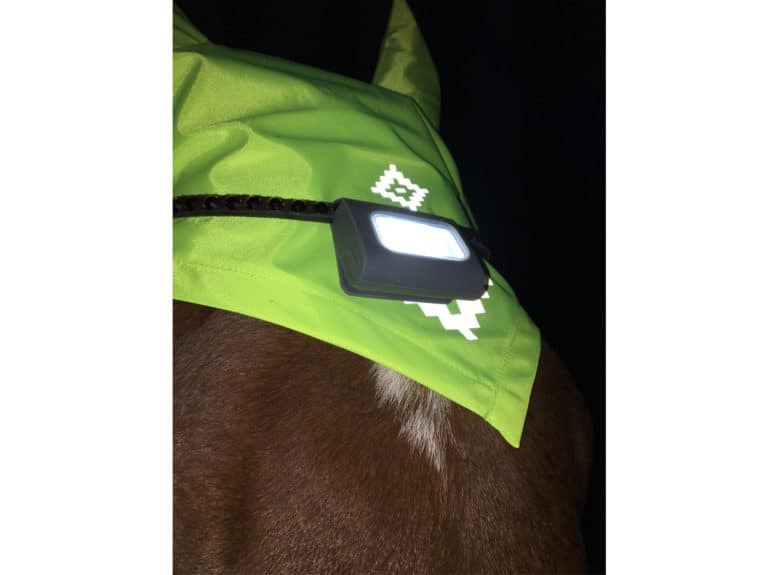 With light from nine extra-bright LEDs and weighing just two ounces, it can be unobtrusively fixed to hats, rugs, bridles, boots, jacket and more. The cleverly designed magnetic closures mean it clips on anywhere with no tricky straps and it’s rechargeable, so you won’t have to worry about changing the batteries. Available in red or white for front and rear visibility. When conditions are cold, wet and muddy, these tough, waterproof boots are on-hand to protect your feet. They feature a climate control system, meaning they’re warm in winter but cool in the summer. Available in adult sizes 3–10. 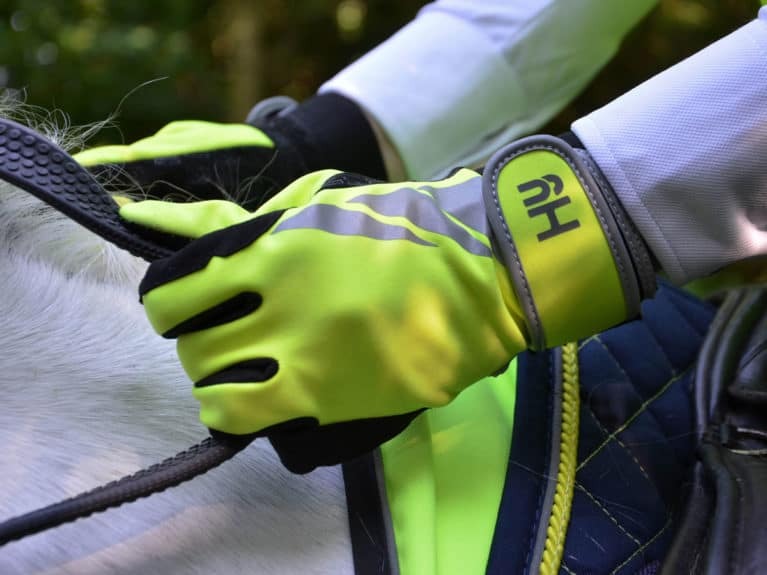 The fluorescent design and reflective details on these gloves will help to improve your visibility when riding on the roads, making your hand signals more prominent. They’re perfect for riding and leading when visibility is reduced. Available in sizes XS–XL. 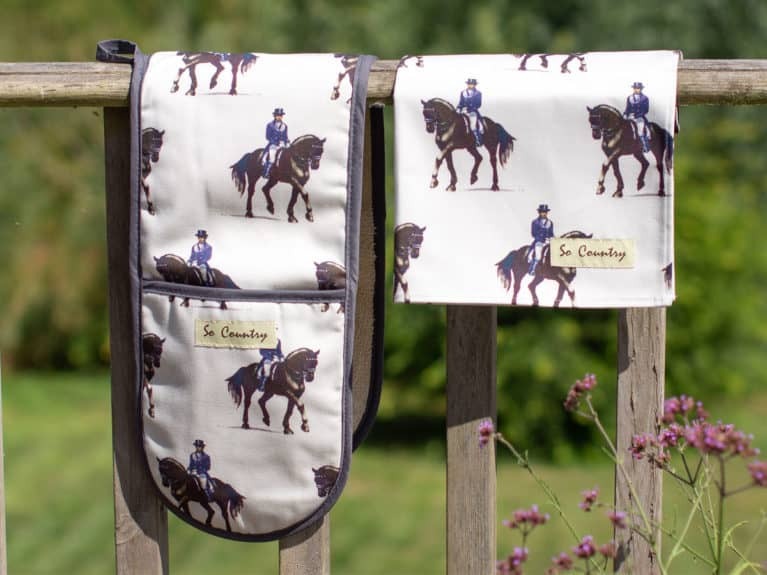 Put an equestrian theme on your Christmas dinner cooking with this stylish set. The oven glove and tea towel are made in England from hardwearing cotton and meet the highest of quality standards. 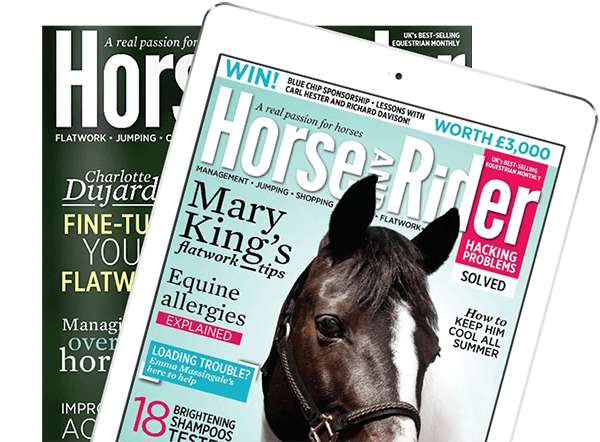 Plus, you can get an extra 10% off all So Country items when you purchase the set and use the code horseandrider18 at the checkout. 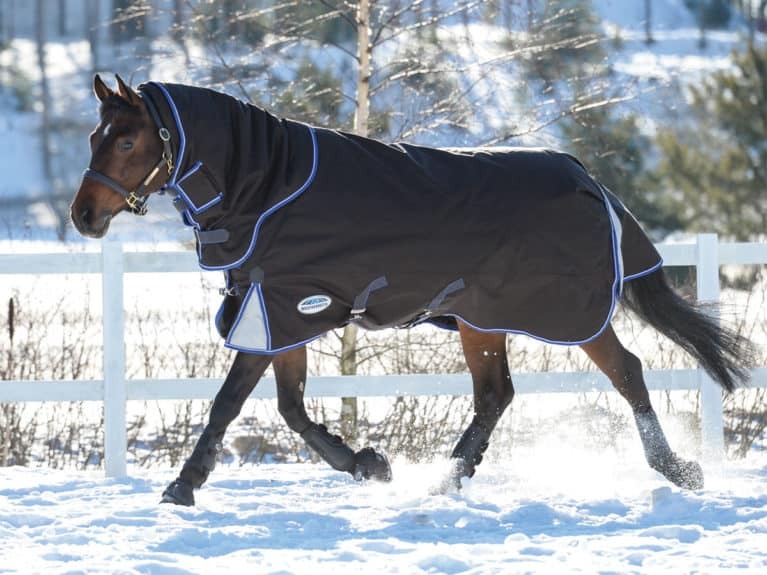 Winter usually means your horse spends most of his time swaddled in rugs, which can often mean his skin and coat can suffer, particularly if he’s clipped. 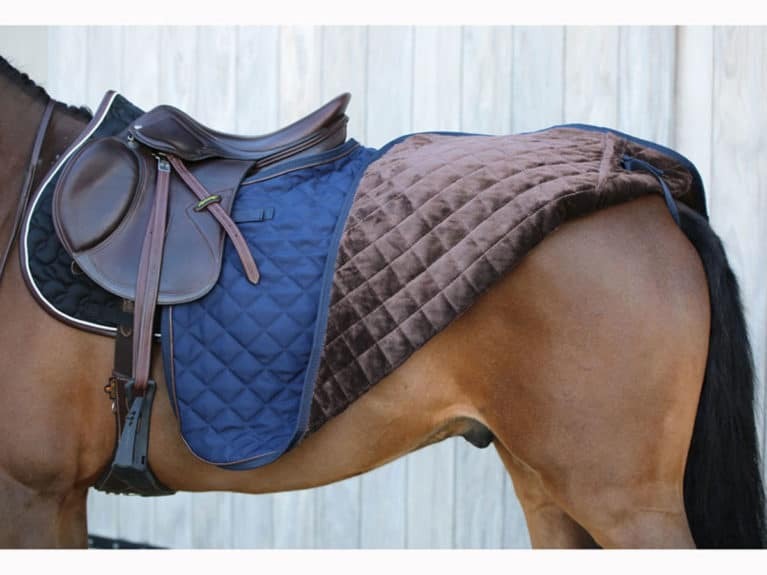 The RugGuard offers a silky protective layer, helping to prevent hip, shoulder, wither and chest rubs. 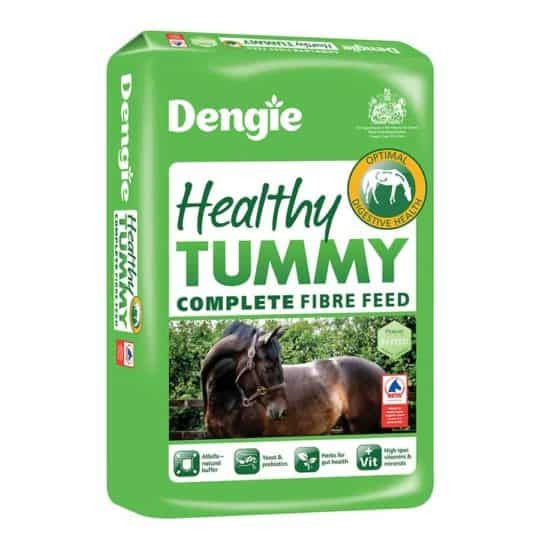 It promotes a healthy coat, reducing build-up of grease and hair on top rugs, making it the perfect solution for your horse’s coat. It’s manufactured in the UK and is washing machine-friendly. 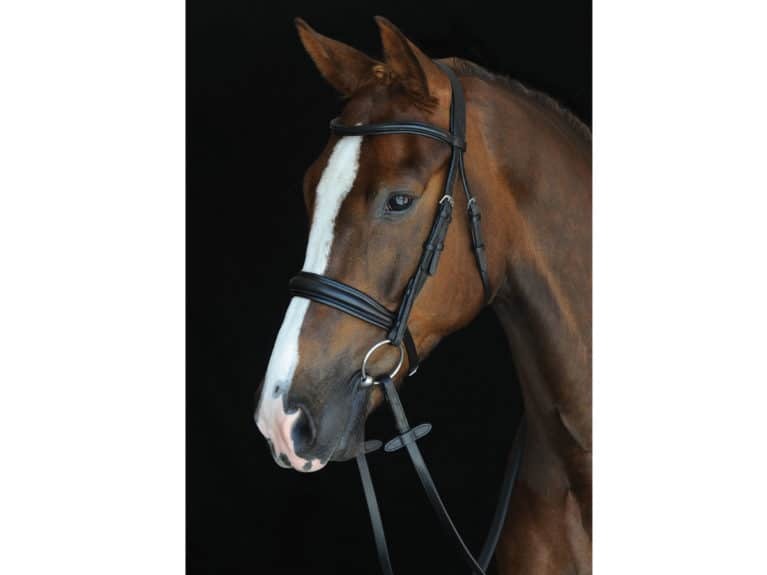 Featuring a softly padded, ergonomic headpiece, and a raised, shaped browband and noseband, this beautiful bridle is made from the finest quality European leather. It features highly polished stainless steel fittings and comes with rubber reins. 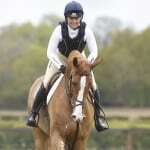 Available in black or brown, in sizes cob, full and warmblood. 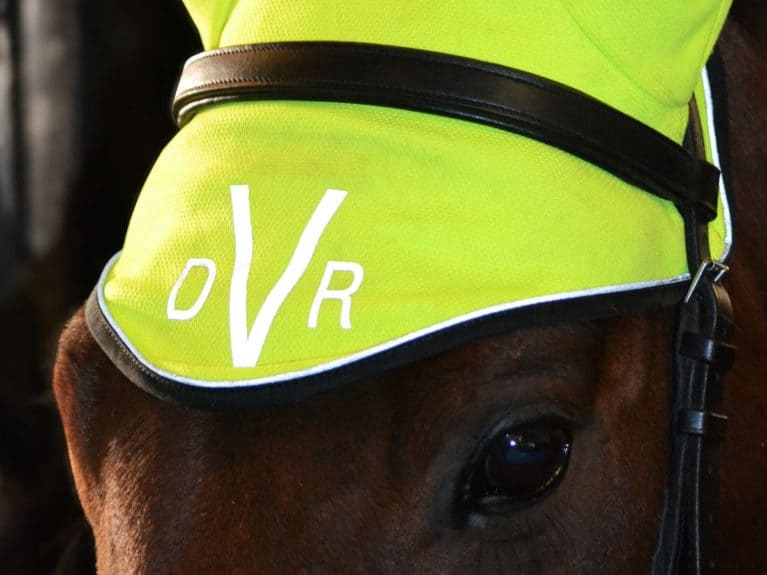 Stand out on your winter hacks with this high-vis ear bonnet. Made from breathable stretch fabric that’s soft to touch, it has reflective piping and logo details. 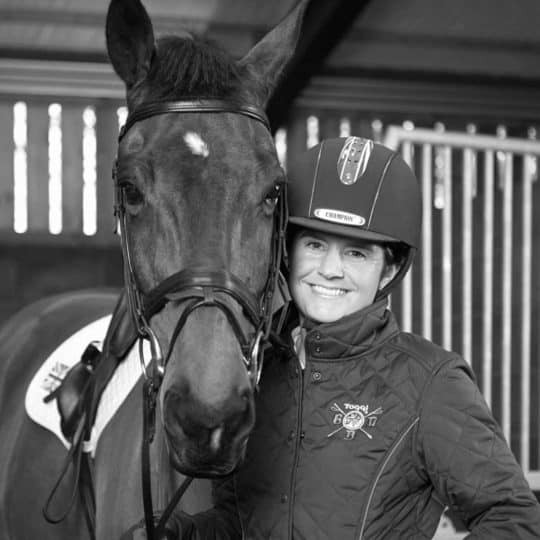 Two Velcro-release loops secure it to your bridle, while black binding offers a smart finish. 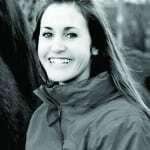 Available in pony or cob/full sizes. 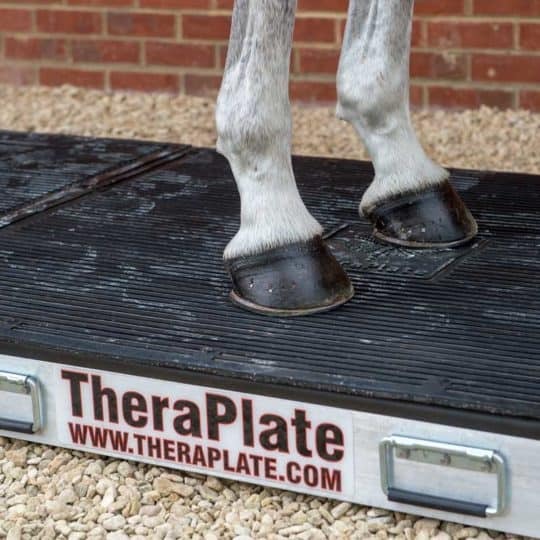 Mud is a constant companion in winter, but wearing these chaps can help to reduce the risk of your horse developing mud fever. 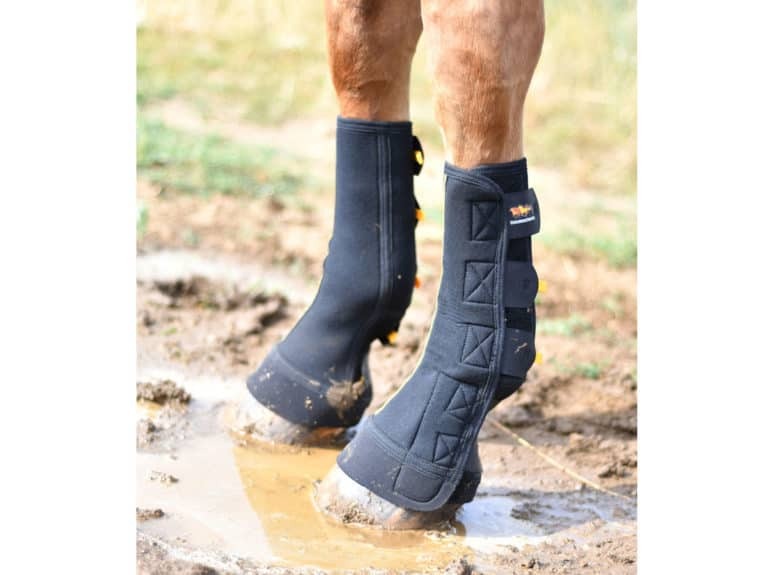 Made from perforated neoprene with four-way stretch, these breathable turnout boots help keep your horse’s legs clean, dry and free-from mud. 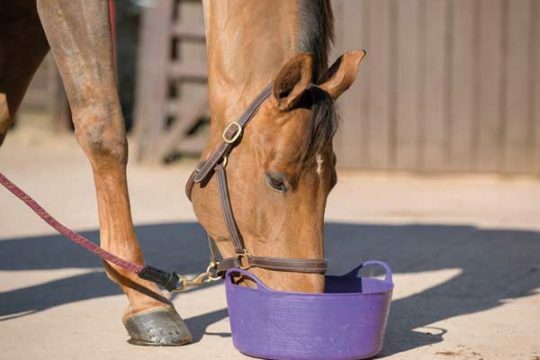 They’re designed to fit like a second skin, covering his lower leg from knee or hock to hoof. Handy grip tabs aid easy removal, while a contrasting front seam for improved visibility ensures a correct fit. They’re available in sizes XS–XL. Shine bright with this technical high-vis exercise rug. 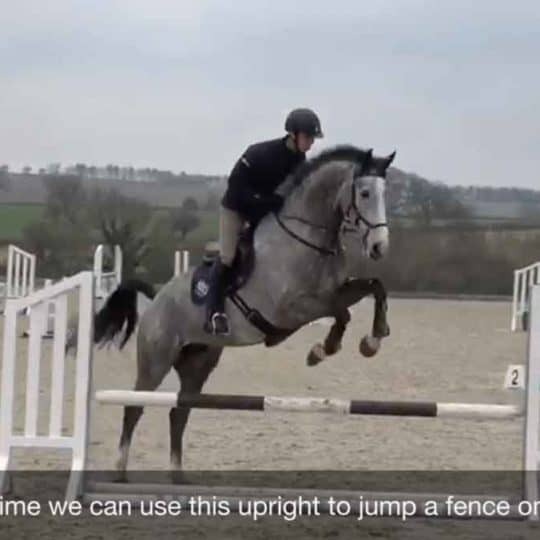 It uses a mix of EN20471 technically advanced, reflective glass, soft-touch dove-grey fabric and fluorescent material to make sure your horse is extremely visible, both in daylight and during darker times, with its illuminating properties. 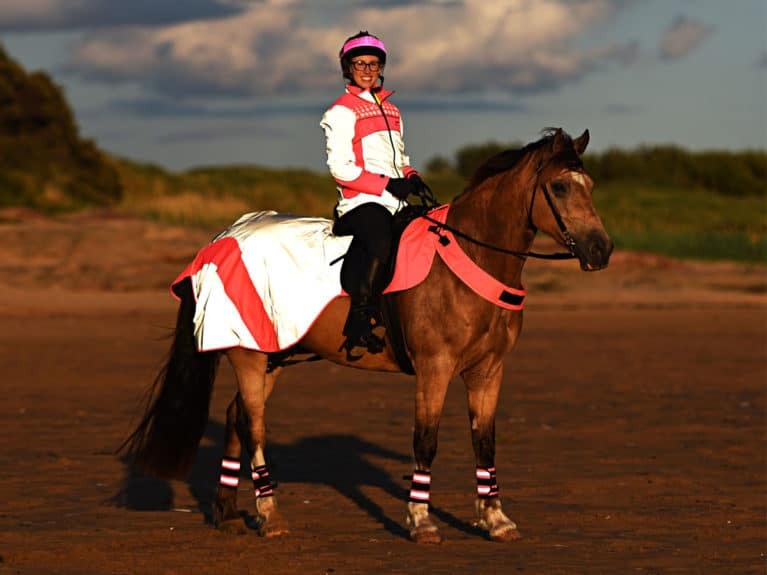 Available in red, pink and yellow, in sizes pony – xfull. When your horse spends more time in his stable over winter, it can often feel as though you spend all your time filling haynets. 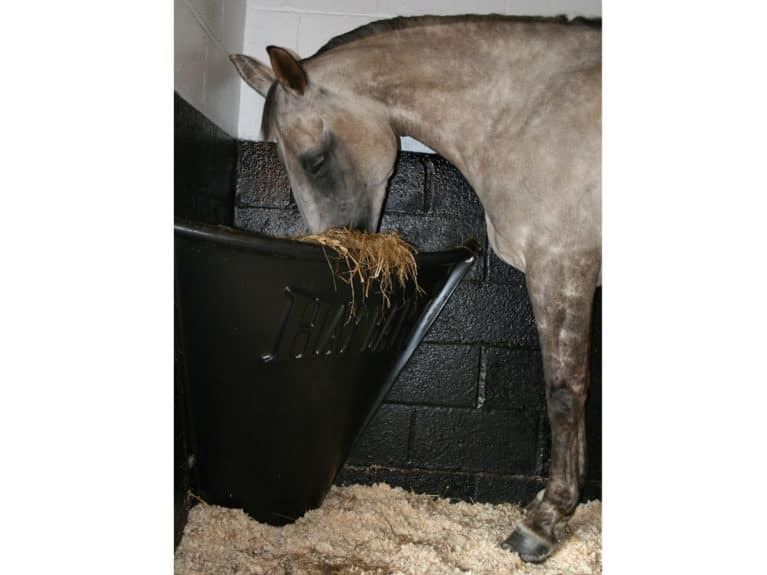 Hay Bar offers a time-saving alternative that allows your horse to feed from a more natural position, helping to reduce the risk of many digestive, dental and physio problems. The investment it provides pays for itself in helping to reduce wasted forage and labour costs, and saving you precious time on the yard. With its luxurious faux rabbit fur lining, this quarter rug is the perfect choice for riding out, warming up or cooling down during the colder months. 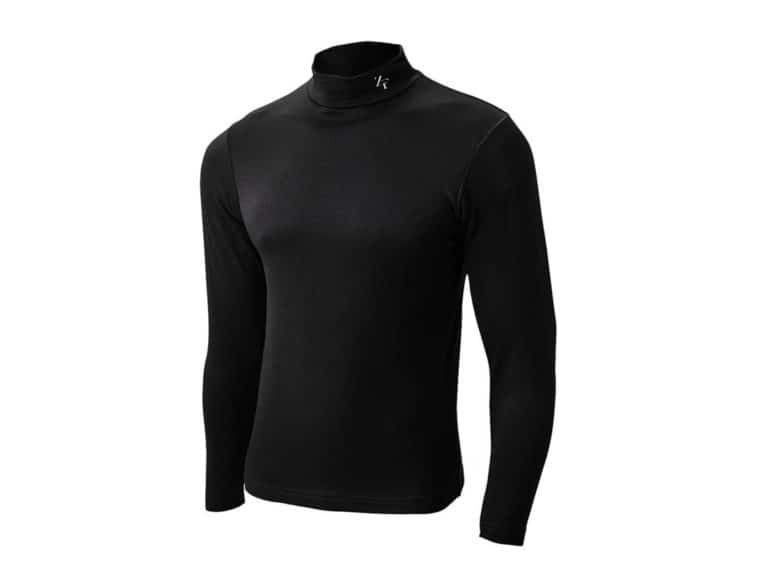 It provides optimum warmth, and is soft and comfortable. 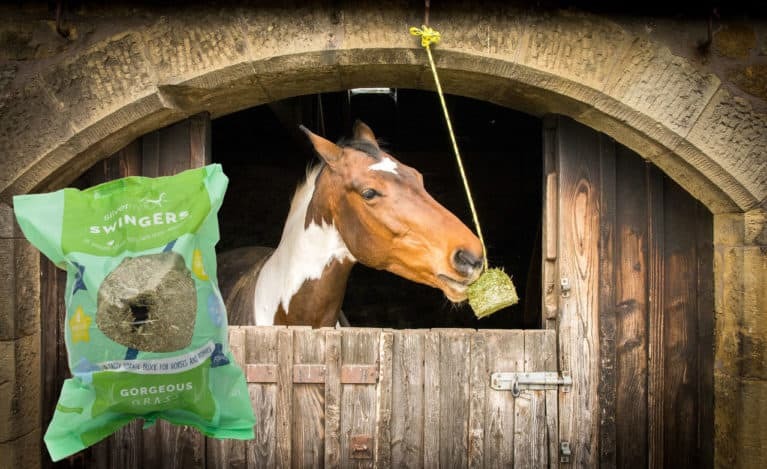 It’s available in Bordeaux or navy, in sizes M or L.
Wet weather means less turnout, so keep your horse entertained in his stable with this healthy, delicious and totally natural hanging treat. The swinging design stimulates his digestive system, helping to maintain gut health. £3.97 for 1kg block. Rope kit sold separately for £4.97. 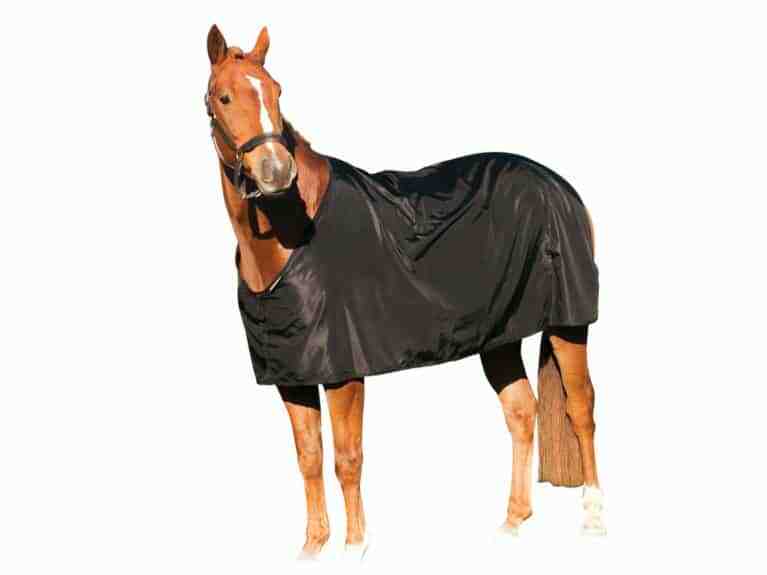 Spoil your horse with this top-of-the-range turnout rug. 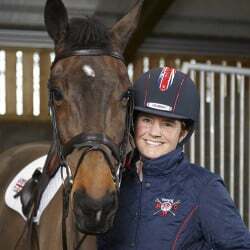 It’s packed with features, including a cosy, Cozi guard to protect the chest from the elements, a memory foam wither relief pad to reduce rubbing, an adjustable belly wrap, and a waterproof, removable neck snug for warmth and protection. Other benefits include 360g insulation, elasticated leg straps, a two-piece tail wrap, quick-clip front closures, reflective gussets and a strong, 1,680 denier outer shell made from ballistic nylon with a Teflon coating. 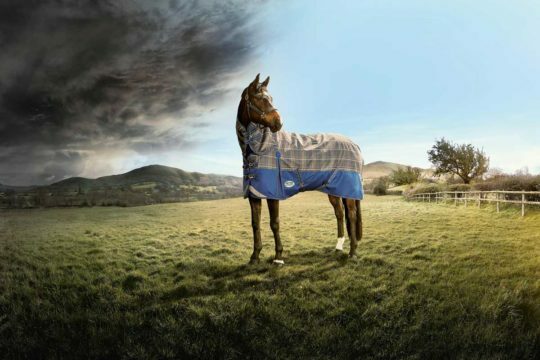 It comes with a free matching fleece cooler and is available in sizes 5ft 6in – 7ft 3in.